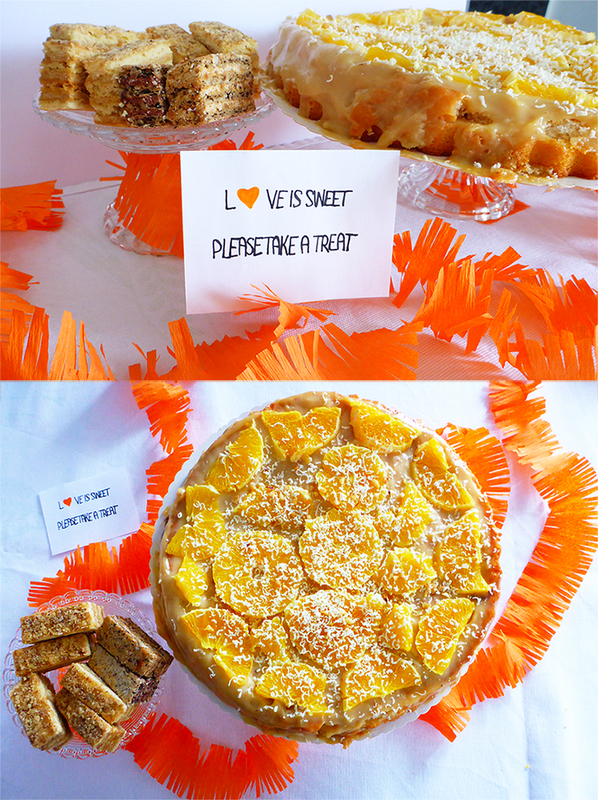 Just in case you missed it out…I am a little bit obsessed with themed party ideas 😀 . Therefore, I came up with a 60s inspired series. 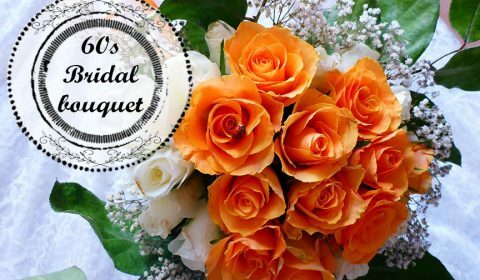 Especially, a 60s themed wedding (but you can also get inspired if you plan an engagement party). 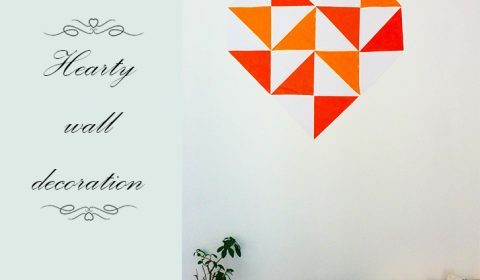 This time I want to show you some simple decoration ideas which fit in my chosen theme (the colors orange and white dominate). 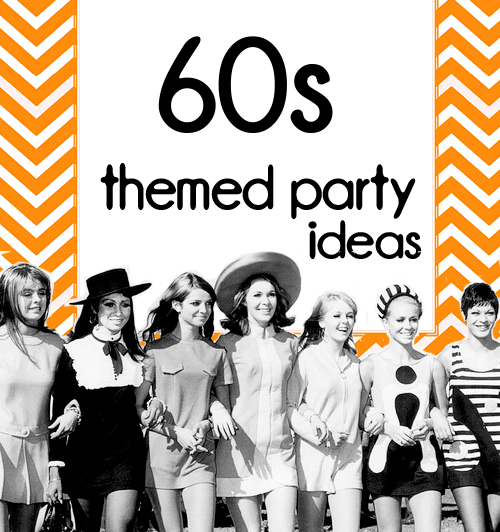 If you are a fan of the 60s and you are planning to throw a party, maybe you´ll get some inspirations from this post. 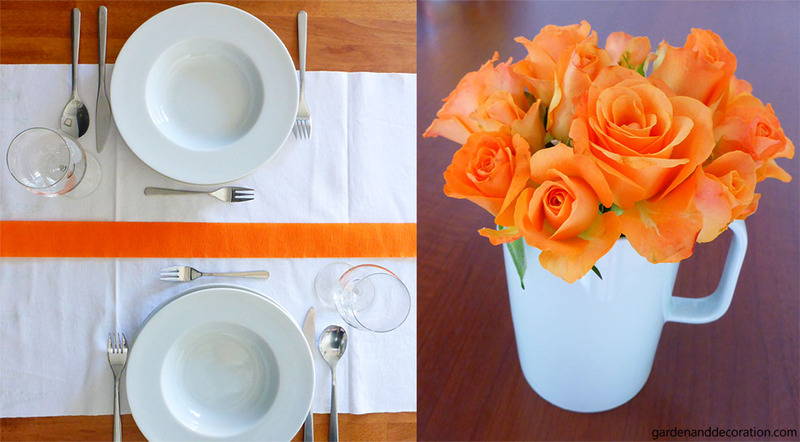 This table setting is a simple one with a white table runner and an orange colored ribbon right in the middle. 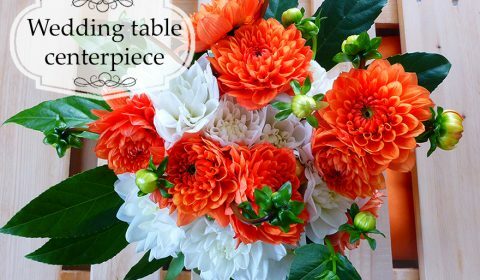 Do you also want to have some flowers on the table? What about using some white mugs? Fill them half with water and arrange some flowers inside. Ready! 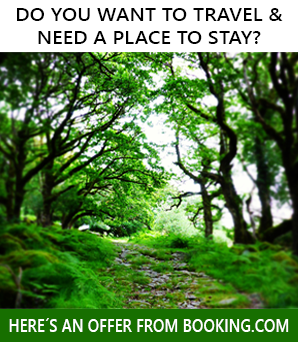 The next idea is nearly the same, except you have these handmade cards which are held by a napkin. 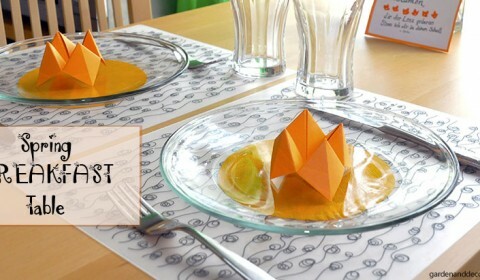 The cute bobble is made out of orange colored crepe paper. 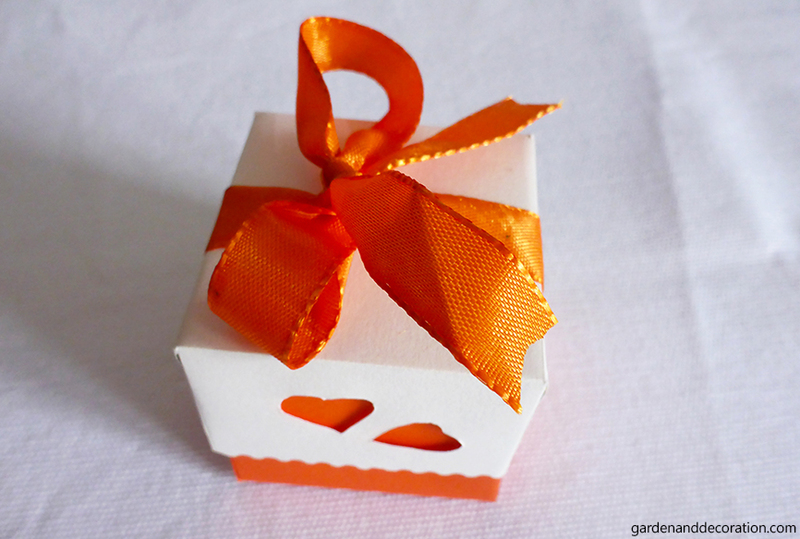 And for the goodies you want to give away as present, what about such a lovely handmade box? 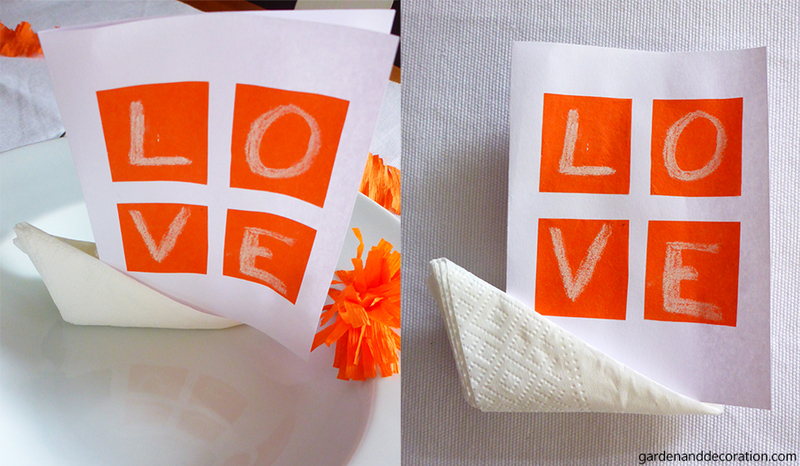 You´ll just need white and orange colored thick paper and an orange ribbon (and a pair of scissors). I cut the small hears out with nail scissors (they are perfect for such a filigreed work). 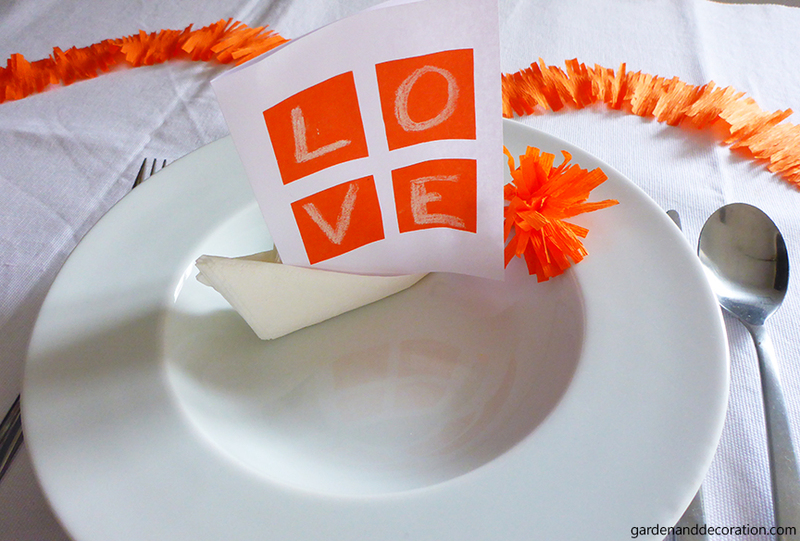 The garland which is laying on the table can be done very easily. 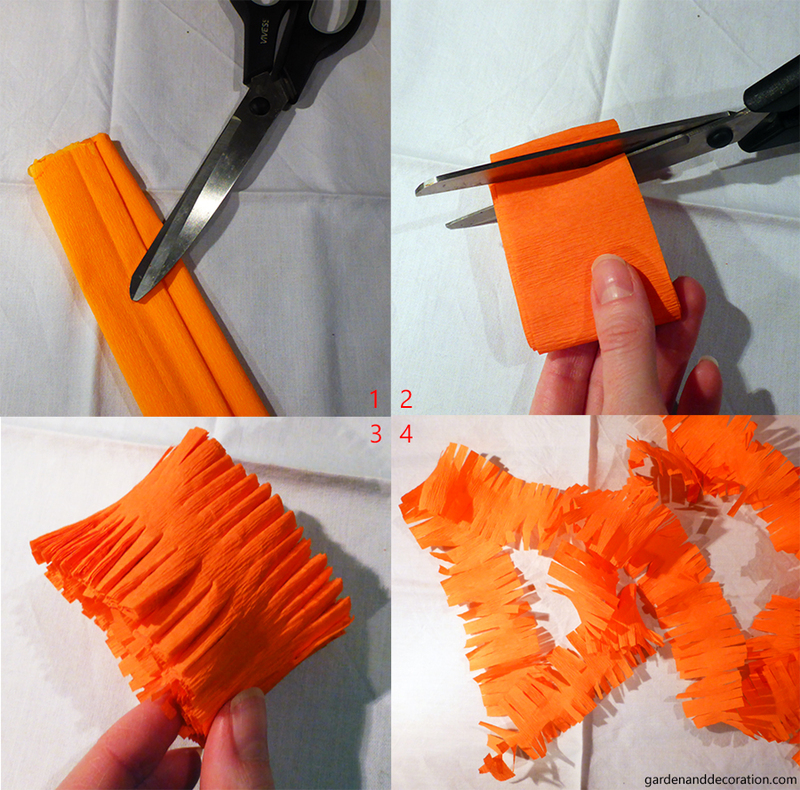 You´ll just need a pair of scissors and orange colored crepe paper.